In a Money.com article, Jon Rork, economics professor at Reed College, reported annual migration out of the state for people 65 and older has increased from 43,366 in 2012 to 52,630 in 2017. Rork tracks migration, and says the prevailing hypothesis is many of these people are moving north, but only so far as Georgia and North Carolina. Rork believes a good deal of this elderly migration is tied to the destructive threat of hurricanes and big insurance premium increases for both hurricane and flood insurance. Premiums are linked to location, structure age, exposure and building codes, among other variables. “We will miss the warm winters,” Karen Colton, 54, who lives near Upper Tampa Bay, told Money.com. There may be fewer sun-filled days at her new destination, yes, but Colton is still eager to retire to Asheville, N.C., with her wife, Rebecca Turner, this summer. Colton says she’s done fearing the “killer hurricane and floods” that wreak havoc on her current hometown, and craves peace of mind during her retirement years. The couple has been fortunate to have escaped severe hurricane damage so far. But, Colton wonders, “What if I won’t be as lucky next time”? “I like that Asheville seems to be immune to most natural disasters,” she said. There are cost and risk problems for many Floridians of all ages. Migrating to a perceived less risky environment may seem appealing to retirees living on fixed income. Target choices for moves, however, need to be researched not only for economics but for environmental risk assessment. On the face of it, Asheville probably faces fewer climate-driven threats than much of Florida, but there is no immunity. The mountainous terrain near Asheville can be subject to landslides in heavy rain events, as an example, and heavy rain events are not a rarity in that region. Moreover, despite Florida being a target for hurricanes to make landfall more than most other coastal states, the threat of hurricane impacts can extend well inland in other places in the south and southeast U.S. Both Hurricanes Harvey and Florence came to a near stall over land. Florence produced more than $24 billion in damages in the Carolinas last year, and was tied to 57 deaths. In 2017, Hurricane Harvey also did its worst damage when it slowed to a crawl. Harvey brought the greatest continental U.S. rainfall amounts on record in parts of Texas, produced a record $125 billion in damage and killed more than 100 people (directly and indirectly). 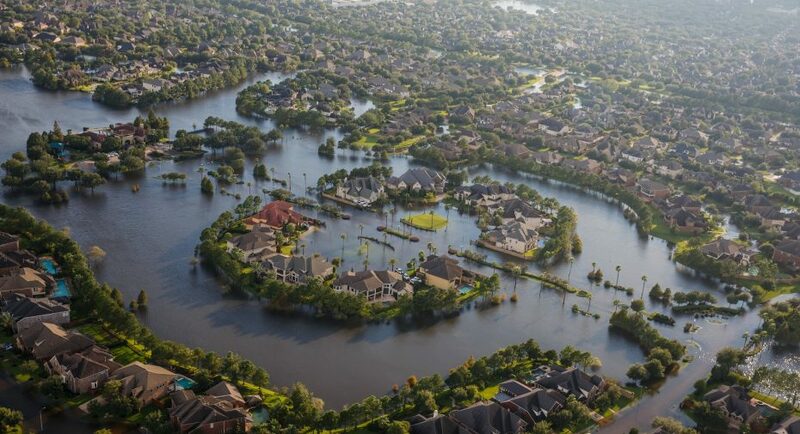 The impacts from Harvey and Florence can be more convincingly tied to elements of climate change because there is a great deal of peer-reviewed evidence showing atmospheric blocking patterns have become more prevalent due to arctic warming. Blocking drastically slows forward movement of weather systems. Climate threats to Florida start at the coastlines. A recent study headed by Kevin Trenberth of the National Center for Atmospheric Research demonstrates oceans are warming 40 percent to 50 percent faster than early climate models had predicted. Warming waters expand in volume and increase the rate of rising sea levels. In addition, large stretches of the Florida coastal lands are also sinking/subsiding at the same time, worsening the impact of coastal erosion in general and the damage potential of storm surges from approaching hurricanes. As for hurricanes themselves, there is no evidence the mean warming climate makes Florida more of a landfall target than it already is. On the other hand, there is a growing body of evidence the warming oceans will lead to more intense hurricanes, though not more hurricanes in general. Again, the intensity doesn’t increase Florida’s numerical risk of landfall, but it does increase the damage and danger risk when landfall occurs. The inland flooding risk goes up because rainfall will be heavier, simply because warmer air can hold more water vapor. Besides all of this, hurricane frequency has tended toward being cyclical, a few decades at a time. There are hurricane “drought” decades and more active decades. Overall, Miami realtors tell Money.com that sales and valuations remain healthy in general for the region. Insurance premium increases have been substantial, which is scariest for those on fixed or meager incomes. In the longer run, however, it is young and middle-aged adults who will feel the greatest negative impacts from climate change. Insurance rates will continue to climb because sea levels will continue to climb. Parts of southeast Florida already have regular high astronomical tidal flooding that seldom occurred 20 years ago. Ironically, atmospheric warming over Florida is actually lessened by the marine layer and water vapor in the air. The warming of air temperatures in this already very warm and humid place will be smaller than in many regions away from the ocean and farther north. 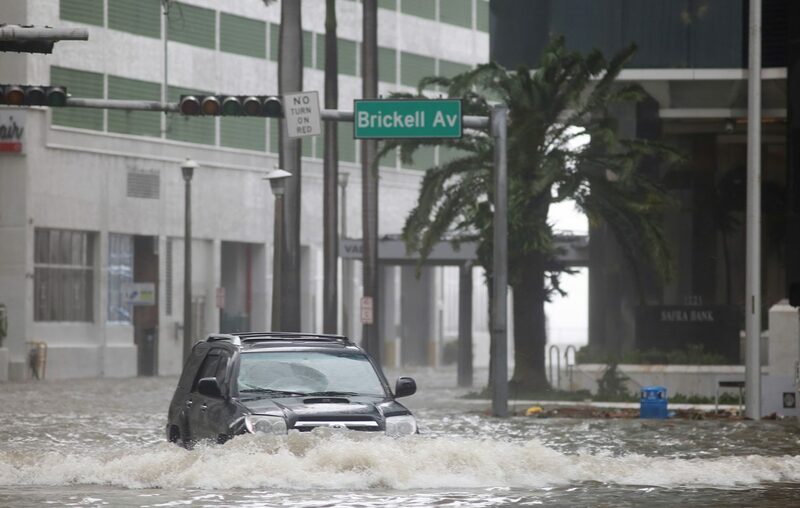 Besides the local coastal land subsidence, a great deal of the negative climate change-driven impacts in Florida and the southeast U.S. are tied to mean global changes, including the warming arctic. Migration is a tough call to make, for any demographic. Waterfront property in Florida is an especially risky business, in the short term and even more so in the long term. So if you're planning on a Florida retirement, give that some thought.